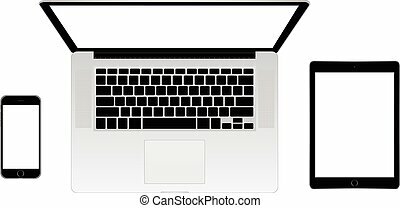 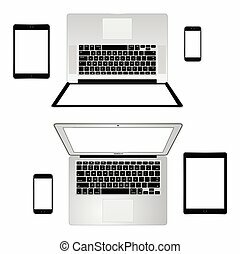 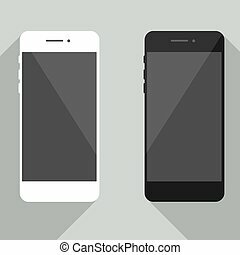 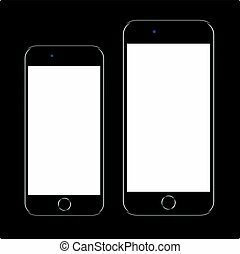 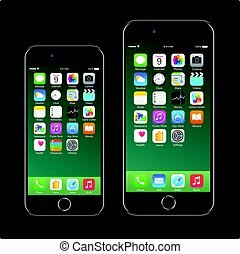 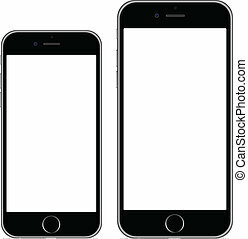 Apple iphone 5s black and white vector illustration eps 10. 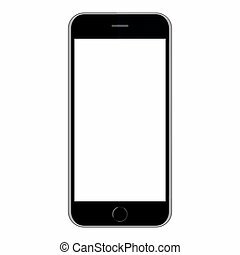 A front view of an Apple iPhone 5s displaying a blank white screen. 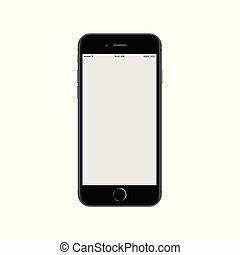 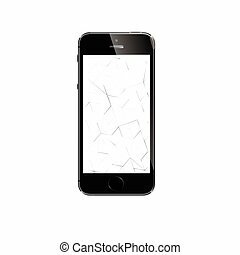 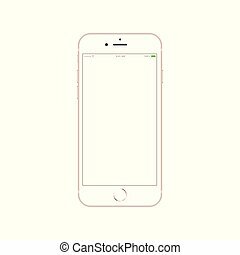 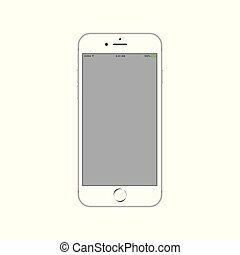 Frankfurt an Main, Germany - September 12, 2012: New Apple iPhone 5 displaying a blank white screen. 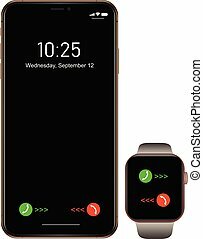 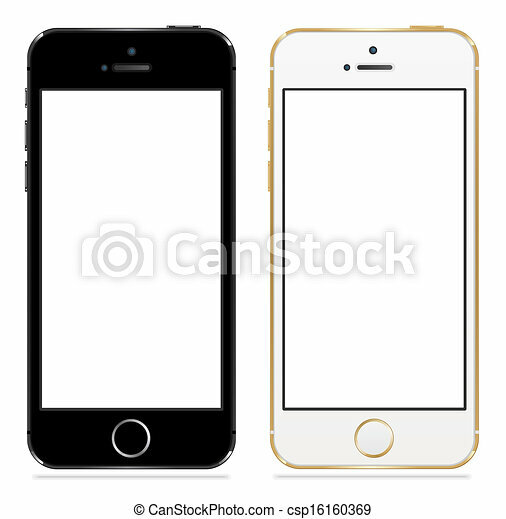 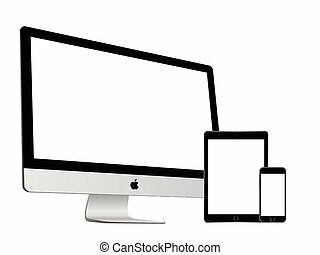 The iPhone 5 is the latest touchscreen slate smartphone and the sixth generation iPhone, developed by Apple Inc.
Smart Phone with black and white color Isolated / Realistic white vector. 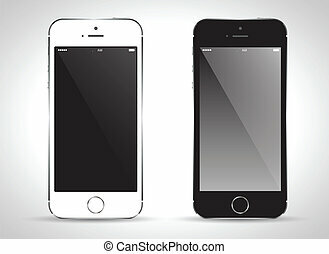 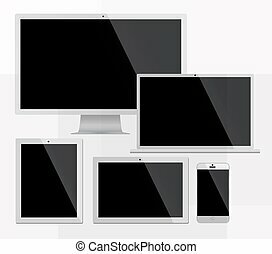 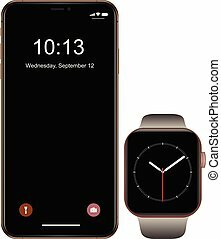 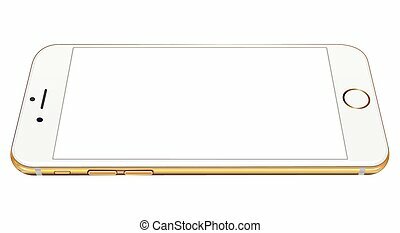 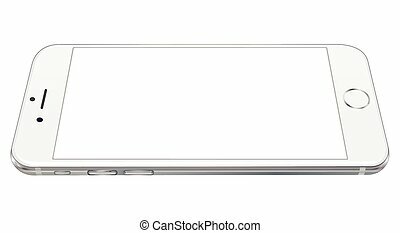 illustration of latest iphone. 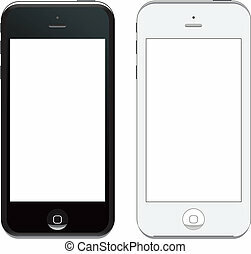 both black and white phones.